I love craft books. There is something magical about seeing these awesome creations that someone has taken the time to create and share with the masses. 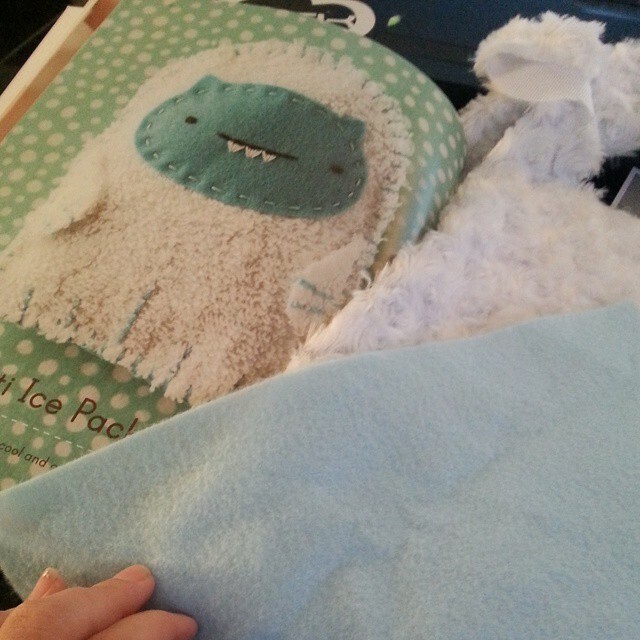 So, you knew I was so buying my buddy Mollie Johanson’s book: Stitch Love Sweet Creatures Big & Small: Cute Kitties and Cows and Cubs and More…and a Yeti. My daughters both grabbed the book when it came in the mail from Barnes and Noble and loved it. The youngest even made a video reviewing the book over at diy.org. 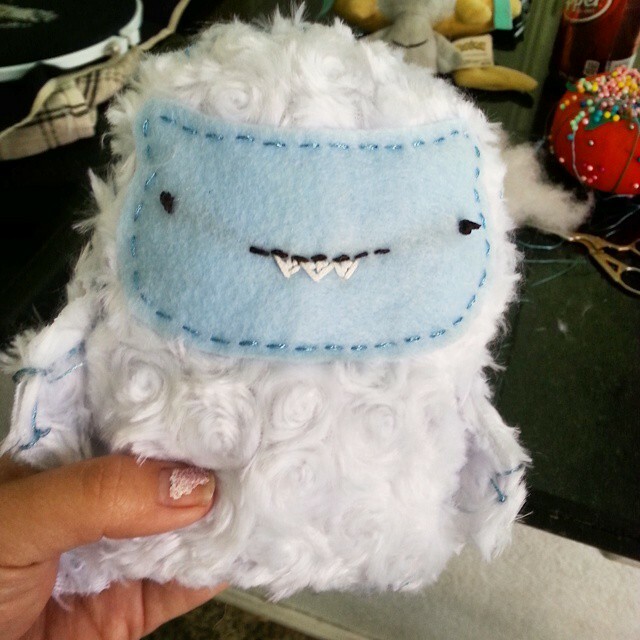 So, yes, I’ve already made the Yeti who is super adorable and really fun and easy to make. 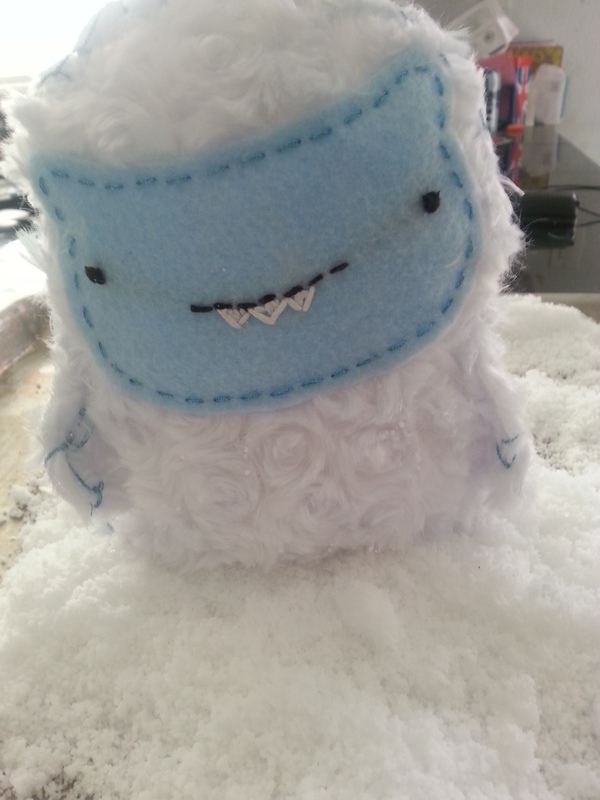 The youngest didn’t want it as an ice pack as it was shown in the book, so I just turned in into a plush. I have to admit, I was nervous to make it because it had the blanket stitch and I had never tackled that before. I was scared! I find comfort in ALL THINGS CROSS-STITCH! But, I reached down deep and found bravery. And you know what? Just kidding! It was so easy that I was convinced that I was doing it wrong, LOL. But, really, I found a super easy tutorial with pictures and I found myself enjoying it much more than I thought I would. So, if you are looking for some fun, cute ideas for you (or if you have young ones who know the basics of embroidery), check out Mollie’s book! Super adorable! This turned out so cute! The blanket stitch always confuses me and I end up having to watch a video every single time I do it.